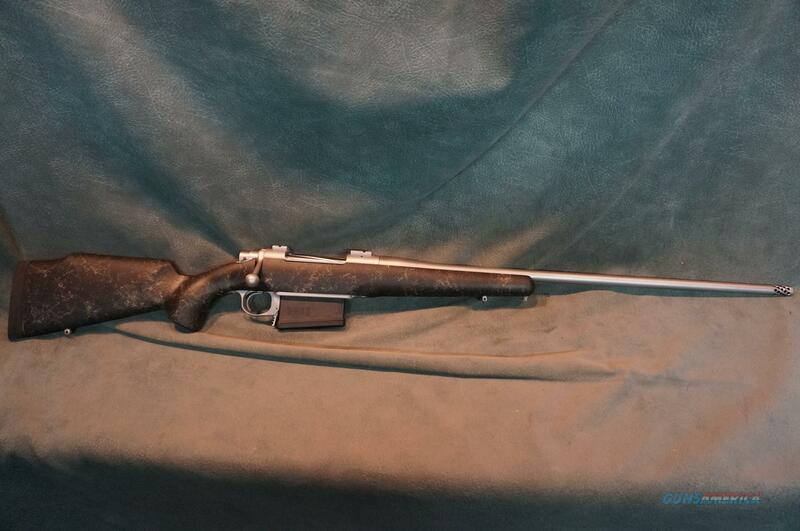 Description: Cooper Model 52 Timberline 7mmRemMag 24" stainless fluted barrel,muzzlebreak,stainless receiver,black stock with tan webbing,detachable magazine,new in the box with bases,6 1/2lbs..This is one of the few made with a M92 barrel,it weighs about a 1/2lb less than the standard model. We buy,sell and trade new and used firearms.This is our 43rd year in business.Firearms will need to be transferred through a FFL dealer.Prices reflect a cash discount.There will be 3% added to credit card sales.We trade for gold and silver.Gun collections wanted.THANK YOU! !